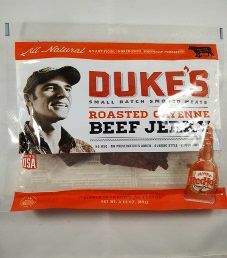 The next review on Duke’s will focus on a 3.15 ounce/89 gram bag of their roasted cayenne flavored beef jerky. This bag was purchased at a ShopRite store in Lyndhurst, New Jersey. 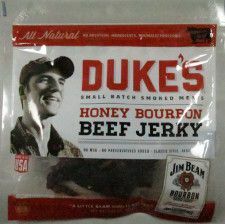 The first review on Duke’s will focus on a 3.15 ounce/89 gram bag of their honey bourbon flavored beef jerky. This bag was purchased at a convenience store in late December 2014, while visiting Kearny, New Jersey.